We were in Michigan's Upper Peninsula this weekend. They've gotten 210 inches of snow already. Right now, in Appleton, it's -8 degrees, but feels like -34 degrees. That is freaking crazy. Why do I live here? When I retire, I'm going south for the winters! 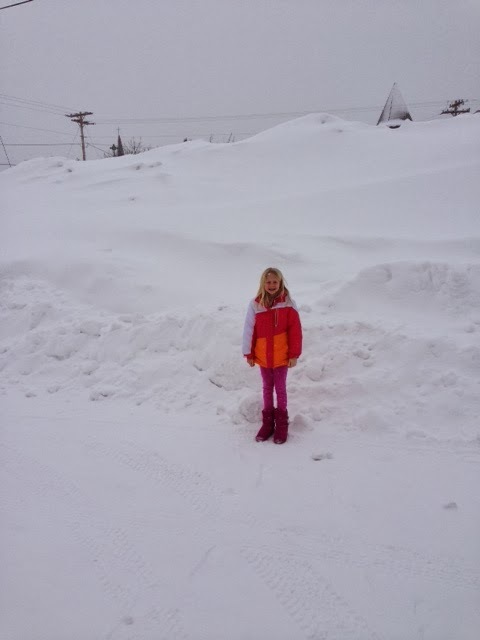 This picture was taken in Calumet, MI at about 9 a.m. It's so gray there and just look at all that snow....!! This weekend we don't have any hockey, so my plan is to finish some fleece pants for my kids and then work on some quilt squares that I'm way behind on! Hopefully I'll have some pictures from that!